When Toyota Motor’s Facilities Operations Manager inherited “the UPS project” in 2011, he had much to learn about their fleet which was spread throughout 36 different locations across the United States. But he did know one thing: continuous power was the foundation for seamless operations of the facilities under his governance. Unexpected, interrupted power could unhinge multiple operations at every level. What was the most effective way to manage Toyota’s 300-plus UPS fleet? The close follow-up question for Toyota leaders is always, as well: what is the greenest way? Fortunately, on a corporate level, Toyota already had identified a valuable resource that would both solve its UPS issues and positively impact global electronic waste. Toyota’s Sustainability Manager recommended the new manager contact Jon Sevel, CoastTec’s president, long on Toyota’s radar for innovative green practices. At Toyota, green-vetting is aggressive. Toyota North America’s Environment Mission states a commitment to constant innovation with respect to the planet. Most people naturally connect Toyota’s green practices with its vehicles only. After all, the Toyota Prius was the first mass produced hybrid in the world. Prius sales alone had the effect of taking 4.8 million traditional cars off the road. Yet Toyota doesn’t rest on the Prius legend, the company scours every department and outside resources for efficient operations processes to limit the waste they use and generate. So, Toyota liked both the economic and the environmental value of CoastTec’s business approach. By recycling, remanufacturing and recertifying UPS units, CoastTec offers businesses equipment at half the cost, with the same performance and warranty as brand new units. And, important to Toyota, that prevents 50,000 lbs. of usable parts per month from being discarded into landfills. Yet, effectiveness is never compromised for the sake of the environment. In fact, Toyota signed up for CoastTec’s Comprehensive Protection Plan, a flexible plan for servicing all units as needed. Under CPP, there is no costly and time-consuming upfront assessment of individual units. CoastTec addresses any unit failure immediately whenever or wherever it occurs. For Toyota, CoastTec estimated roughly the number of UPS units likely to need servicing over the year. Next, they provided Toyota a number of “service credits” applicable to any unit at any time. 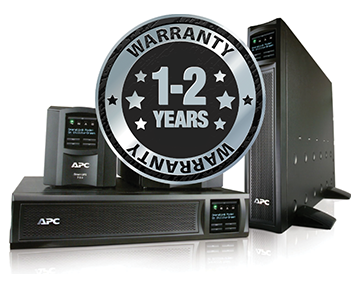 With service credits established, CoastTec handles failing UPS units on an as-needed basis. After three years, CoastTec has serviced nearly half of Toyota’s 300-plus units. Each time, CoastTec files that unit’s whereabouts, serial number, condition factors and age. Accumulating information will lead to a complete picture of the entire fleet, which will allow Toyota and CoastTec to anticipate issues and proactively prolong each individual unit’s lifecycle. Another UPS functioning better, longer — delaying an untimely death in a landfill.